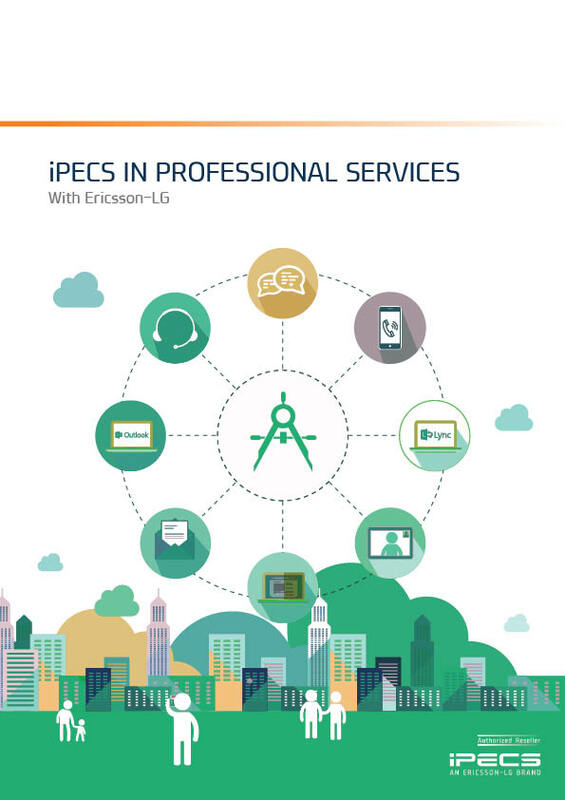 The iPECS in Professional Services Toolkit provides you with materials to help sell to practice-based businesses, such as Architects, Accountants, Recuitment Consultants and Marketing Agencies. Mobile working: Talent is king in practice-based, “knowledge” businesses and retaining talent is often about flexibility and remote working options. iPECS can deliver flexibility for employees wishing to work remotely or whilst on the move. Call recording: To help manage disputes and ensure that critical advice is recorded and available for analysis and review, secure and compliant call recording is an essential option. UC Presence and IM: In knowledge-dependent organisations, the ability to collaborate and easily contact colleagues to discuss specialist areas helps practices quickly respond to clients. iPECS UC supports this out of the box. iCall reports and dashboards: Good communication is at the heart of every law firm and client satisfaction will be significantly influenced by the speed and quality of response to calls. iCall can provide simple reports and dashboards with all the information partners need to understand the practice performance in answering and handling client calls. Distributed architecture: Many businesses operate through regional or local offices so the ability to provide remote location support is important. iPECS can deliver a fully distributed system across multiple sites, all seamlessly networked together for a simple user experience. The Media Industry encompasses broadcast (tv, radio), the press, film, advertising and gaming. Pure Technology can support these businesses to collaborate and communicate better and boost productivity. Every interaction is an opportunity to build customer loyalty. We can help the UK hospitality sector meet these challenges head on. iPECS in Legal shows the capability of iPECS unified communications technology in the legal sector. Scenarios from a small village school, through to a large inner city college campus running networked iPECS modules, applications and data infrastructure.